In large South African cities, many of us have become accustomed to living in tiny apartments or flats. Houses are slightly larger, but due to urbanisation, even these aren't that big these days. This is not a problem though! 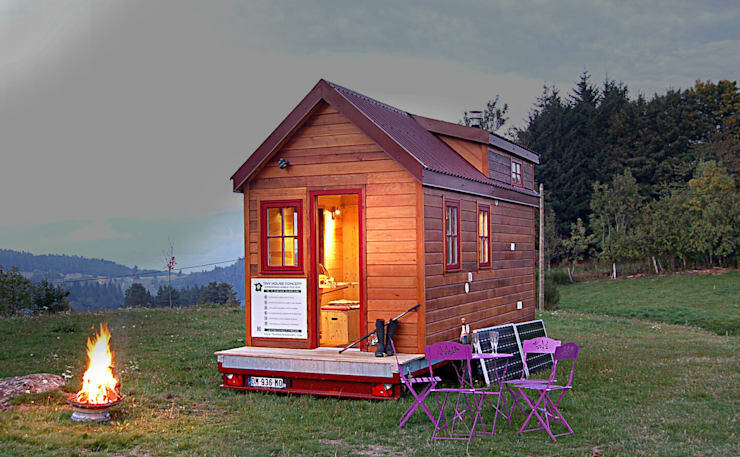 Have you ever considered living in a super small house? Today, we are going to show you just how appealing the concept is. In fact smaller houses can have so much appeal. For starters, they are easier to clean and organise. Secondly, they can be that much more cosy, homely and warm. And with a little bit of innovation, they can be as multi-functional and as trendy as you like! 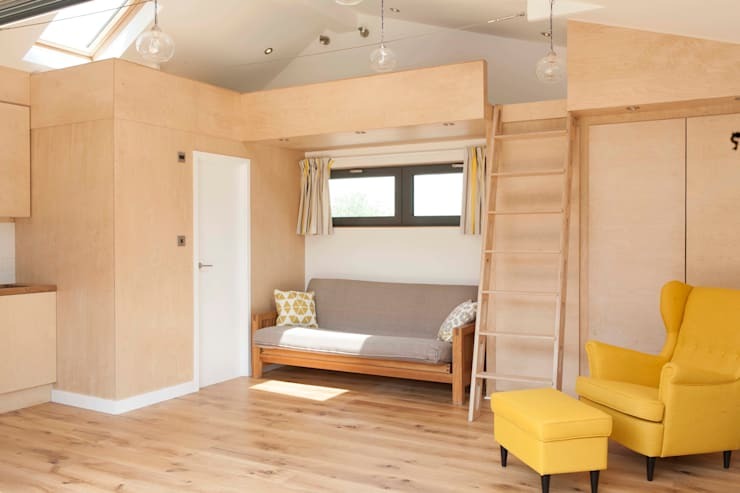 This is why today at homify, we are going to show you 8 small beautiful but budget-friendly houses so you can see just how attractive this concept is! Just like the outside of the house, the bathroom is simple with fine lines. The side wall of the bathroom is completely covered in glass, which seems like an interesting choice. However, it still offers the family privacy while allowing beautiful views of the garden. The mirror that runs along the one side of the room creates the impression of space, reflecting the room back on itself. 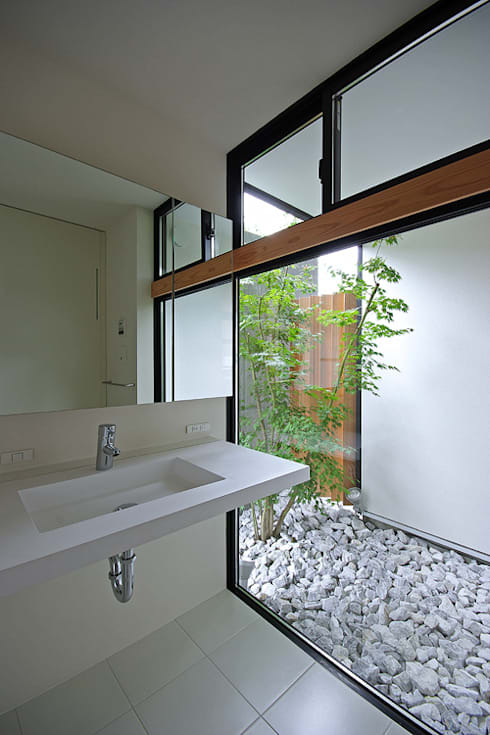 Because of the views of the garden, the bathroom doesn't require too much more interior decor. 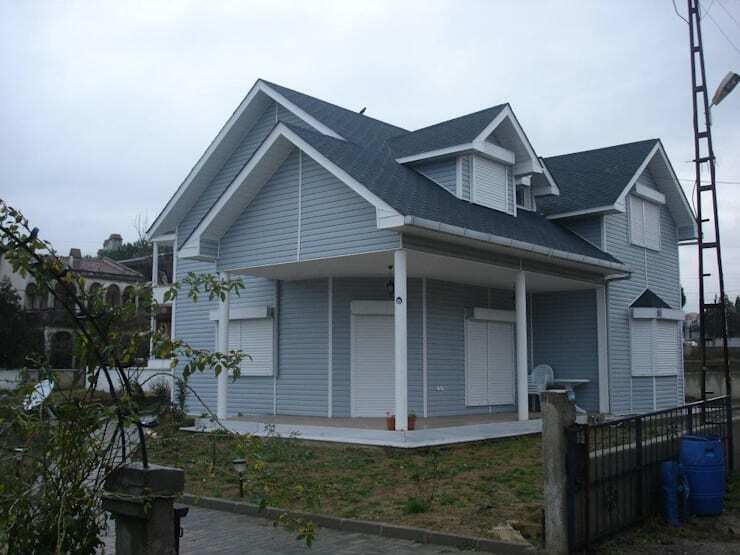 This it the facade of our first example, a house built with an oriental design. The roof is large and striking, while the building makes the most of elements of wood. Do you see the beautiful contrast between colours? You'll notice that there is abundance of glass windows and doors, allowing plenty of natural light to flow into this space. It also gives the family access to the beautiful, surrounding views. 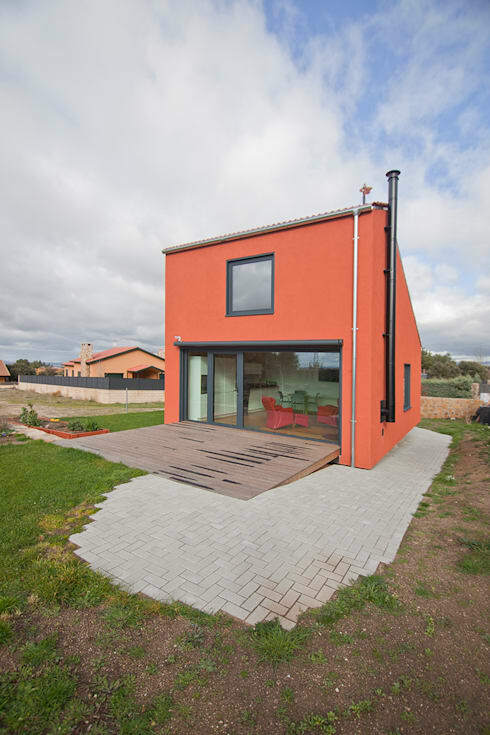 This house is very small and the structure is quite low cost. What's great about this design is that if you don't like the views surrounding your home, you can just move it because it's on wheels! 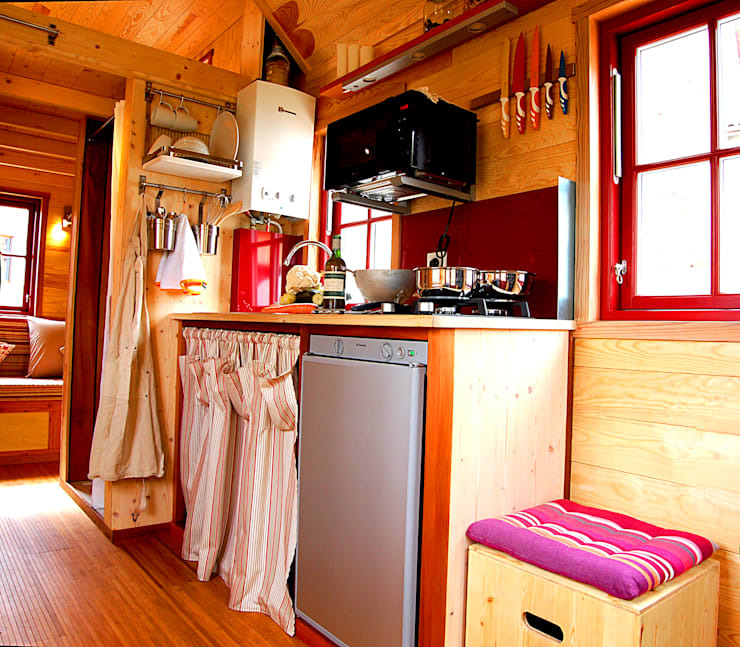 No matter how small, this little wooden home has everything that a small family needs and on a budget too! The kitchen of this small house was designed in a simple yet functional way. In addition to having all of the basic equipment, it has plenty of storage space with shelves running along the top of the wall as well as cupboard space underneath the sink. This is a miniature kitchen, but what else could you need? 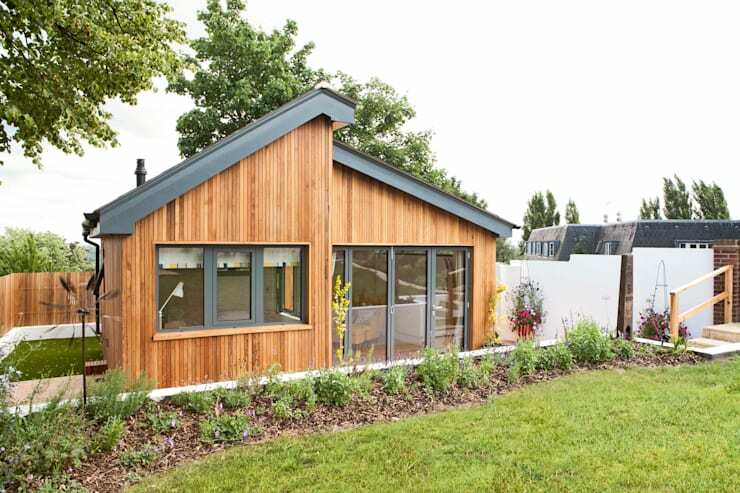 This example of a small house, designed and built by professionals Blankstone shows how innovation goes hand in hand with a contemporary design. The wooden panels that cover the exterior are not only beautiful but they are designed for thermal insulation, helping to save energy. Inside this small house, a whole new world opens. The kitchen opens up into a living room, while a mezzanine level features a sleeping area that is accessible by the savvy ladder on the side of the room. The home features small windows with a classic grey sofa positioned in front of them. There is also a bright yellow armchair that complements the decor and design. 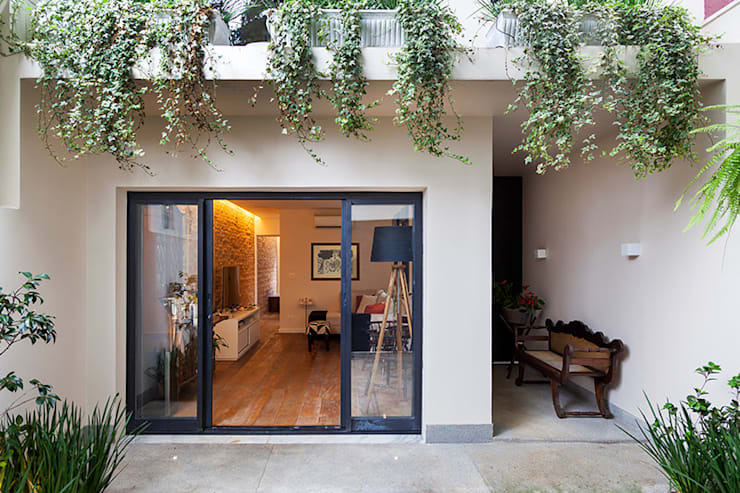 This house features a contemporary design in just 50 square metres. It has two floors with a striking burgundy wine-coloured facade that packs quite a punch. 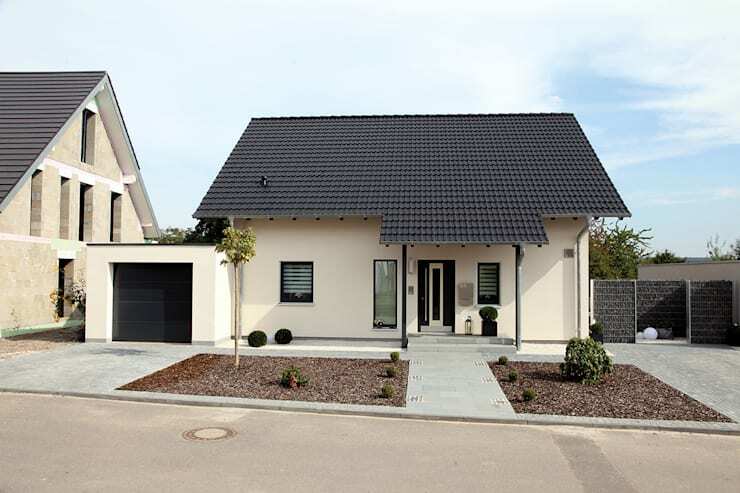 With the sloping roof and the one side of the house featuring a large glass door, this small home is not only interesting but it features a beautiful connection between the interior and exterior spaces. 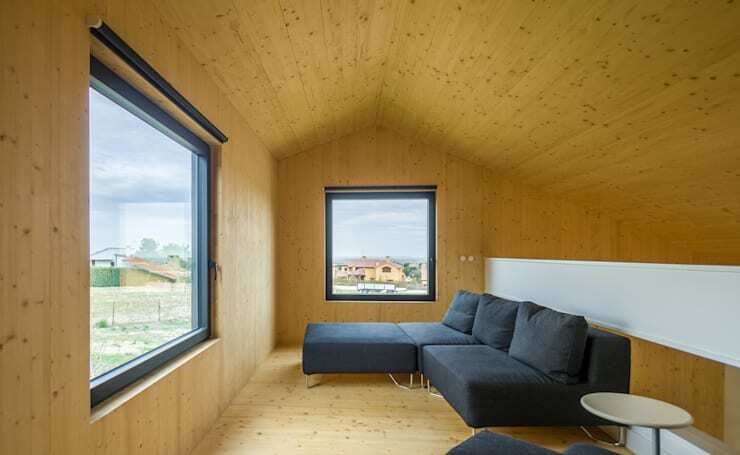 The interior of the house is very simple, covered completely with raw-looking wood. The simplicity of the interior is also evident in the fact that only the most functional of furniture exists in this space. 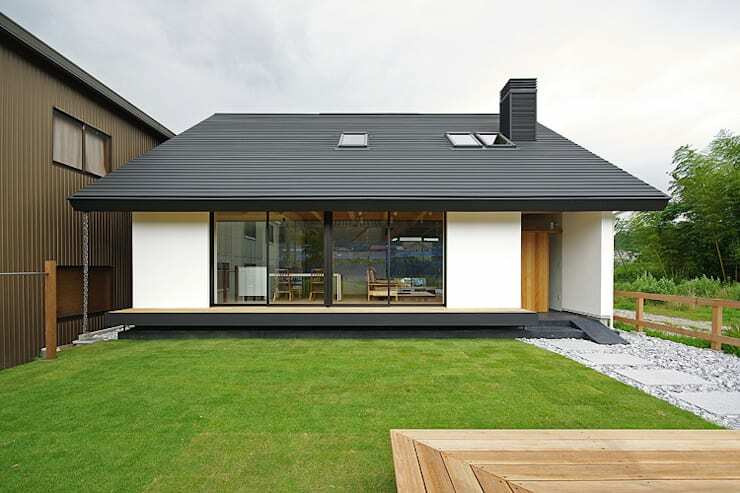 Here we come across another dramatic black sloping roof, which contrasts beautifully with the white exterior wall. The front garden brings a little touch of the natural to this striking design. 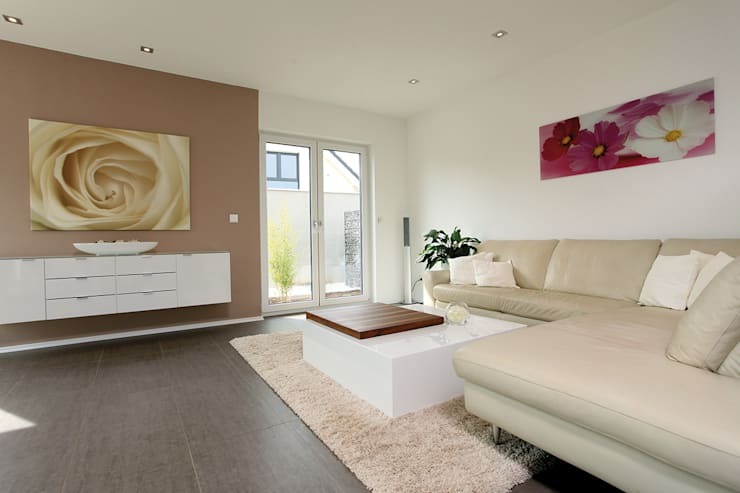 The soft decor with the neutral colours makes for a very grand interior design. The softer tones and floral artwork on the walls add an elegance to the ambiance. We don't often come across colourful houses, especially wooden houses. Although it is a bit more spacious than other examples, this house is extremely modern with a functional structure. Yet, it's oh so beautiful! 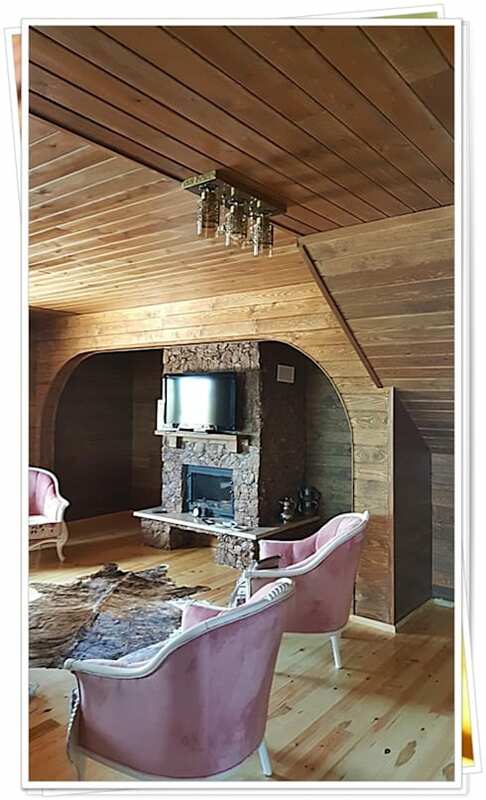 This is a real wooden house in the forest, located in the city of Bursa, Turkey. 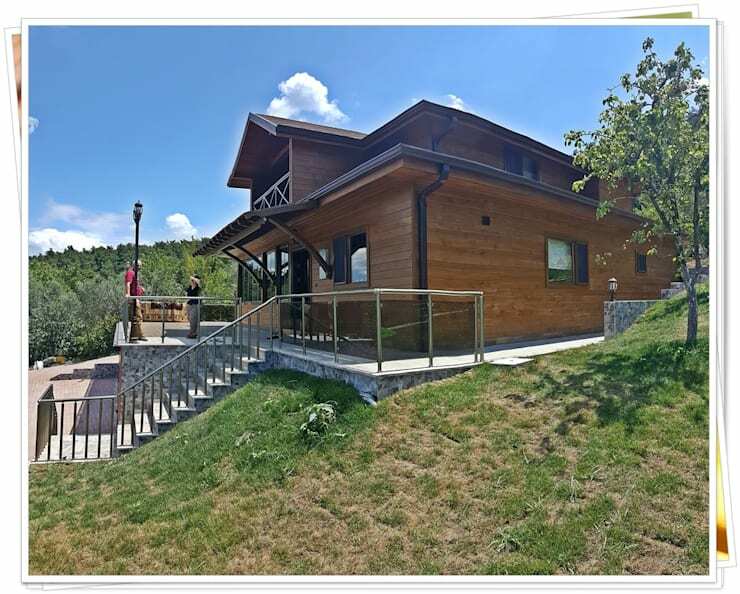 The two-storey house is not only attractive due to the architecture, but because of the exquisite landscape that surrounds it. The living room of the house is decorated in a classic style, made almost entirely of wood, just like the exterior. In addition, there is also a natural stone fireplace! This combination of raw materials makes for a very appealing design. Have a look at how you can: Make your home roar with raw materials. This last example is a small and charming apartment, which although small, is presented in a fantastic way. Once again the flowers and plants give a special touch to the property. The small living room is tastefully decorated with functional furniture and a few decor items such as plants and pictures. 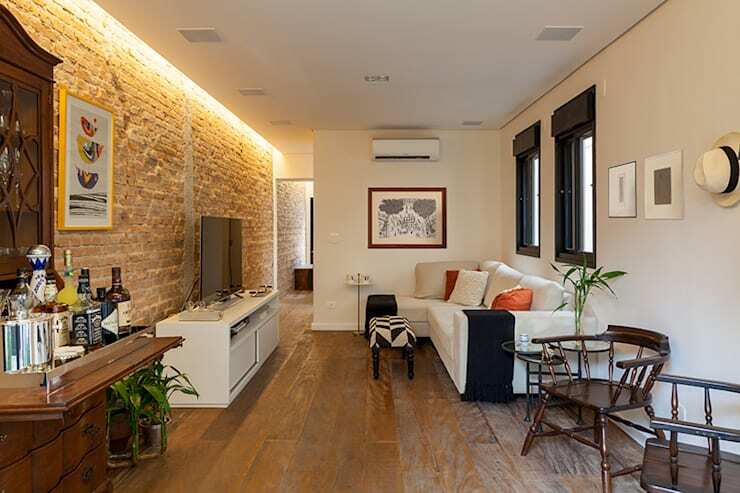 The raw brick wall adds a special touch to the modern decor. If you've enjoyed this article, you'll love these: 7 small houses you'd gladly settle in! Which is your favourite small house?